Kenneth Earl Brantley was born to Luticia Ansley Brantley and Clinton Brantley in Durham, North Carolina. He was the second child born to that union. Kenneth was raised by his grandmother Florine Sheets Curington and Kenneth made his transition to eternal life on Thursday, Feb. 7, at Standefer Place Nursing home in Chattanooga. He was preceded in death by his biological father, Clinton Brantley, his mother and devoted stepfather, Luticia and Sidney F. Wallace; his brothers, James E. (Faye) Brantley, Raymond H. (Julia) Brantley and Michael P. (Bonnie) Brantley. He was a devoted to family and Kenneth was fondly called Uncle Jimmy by his nieces and nephews, a nickname given by his grandmother Florine. Uncle Jimmy helped raise nine of his nieces and nephews; Eric Brantley, Luticia Joyce, Vanessa Jae (Gerald), Teresa Kathleen (Chris), Raymond Henry, Edward Ernest (Angela), Juan (Toya), Shaun (Kim) and Tiffany. He adored all nieces and nephews, just to name a few George, Kelvin, Carolyn (Bruce), Wanda Jean (Curtis), Kenneth (Barbara), Vivian (Kenneth), Trixy, Ricarlos (Shawnita), Wanda, and many more. 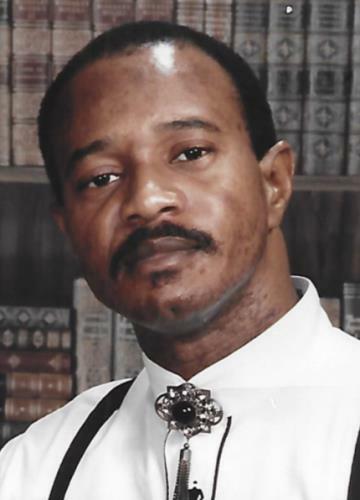 Kenneth joined Greater St. John Baptist Church in Chattanooga at an early age, under the pastorate of Reverend Samuel R. Spence. As a young person he participated in many church activities. Always a lover of music, Kenneth sang in the church choir, several singing groups including the City Wide Choir. He sang in the Choir often leading songs and sometimes forgetting the words, he would make it up as he went along. His favorite signature song was "Yes God is Real” and Serving the Lord…It will pay off after while; he sung it full of spirit with Emma Ruth Hughley. He was invited often as a guest singer on many church programs throughout the city. He was active in his church and community. Kenneth spent most of his life in and out of the hospital due to his blood disorder Hemophilia in which the blood does not clot. He did not let this stop him. He received several awards from the city and community for his drive to keep his community clean. Kenneth organized the Spencer McCallie Boys Group for the purpose of beautifying the Spencer McCallie Homes in the Alton Park Community. After becoming a member of the Good Neighbor Club, under the direction of Reverend and Mrs. Whiteside, he assisted in organizing the Good Neighbor Youth Club. Spencer McCallie homes were a beautiful and clean place to live during the 1960s and early 1970’s by to his efforts. Kenneth was a homebound student in the Chattanooga School system. During his senior year he joined his fellow seniors on the campus of Howard High School. After completing high school, he was given a scholarship in millinery craft; he excelled in his study and shared his gift by teaching whenever asked. He excelled in his craft and began making a living selling hats, Kenneth began making hats for church ladies and weddings and soon became well known as “Mr. Ken” specializing in personalized and tailored hats throughout Chattanooga. He leaves to cherish his memories his sisters Rose Pearl (Rev. Jay) Trimble of Chattanooga, Cydney F. Wright of Lafayette; Ethel Hensley, Kathy Brantley, Penny Whitaker of Springfield OH, Patricia Brantley Covington and brother Clinton Brantley of Cincinnati; a very dearly devoted cousin; Andy Sheets of Chattanooga; loving cousins; Mattie (James) Smith, Sophie Mae Thrasher and a devoted sister in-law; Martha Brantley Jackson. He also leaves his lifelong friends Richard Qualls, Fred McCray, Loretta and Dwight Prater, The City Wide Choir and a host of other relatives, friends and church members. Public viewing will begin at 9 a.m. on Thursday, Feb. 14, at Prospect Missionary Baptist Church, immediately followed by the funeral service at 11 a.m. Interment will be in Greenwood Cemetery. Arrangements are by John P. Franklin Funeral Home, 1101 Dodd’s Ave., 423 622-9995.